The Gators drop another game at home 63-59 to UCONN. UCONN comes back from 13 points down in the second half to upset the Gators at home 63-59. 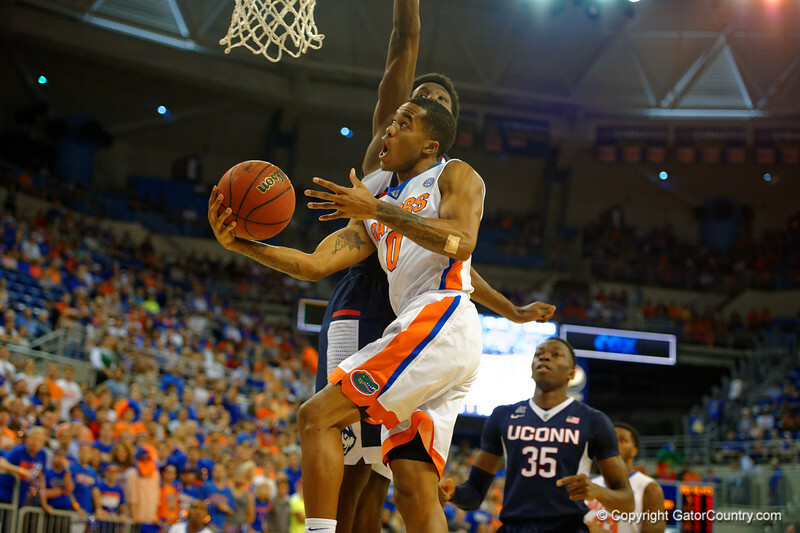 Florida Gators guard Kasey Hill drives to the basket in the first half. Florida Gators vs UCONN Huskies. January 3rd, 2015. Gator Country photo by David Bowie.